Wedding movies are always a good watch, but when you are a bride- or groom-to-be, your new perspective makes them so much more relatable. These 10 movies represent the films all brides and grooms should watch to get excited for their wedding. They will make you laugh, make you cry, but most importantly, make you realize love will get you through any crazy wedding mishaps! We start our list with a relatively new entry to the wedding movie canon. I Love You, Man stars the ever-charming Paul Rudd and Jason Segel in this sweet comedy about bromance. Rudd plays lovable, yet slightly awkward Peter Klaven who is about to marry the girl of his dreams (Rashida Jones), but has just one problem – he has no best friend to make his best man. That is until one day he forms an instant bond with Segel’s Sydney Fife. With the movie’s hilarious, yet sincere portrayal of best guy friends, it reminds us just why the best man is so dang special. Plus it has the best Rush jam sesh ever put to film. 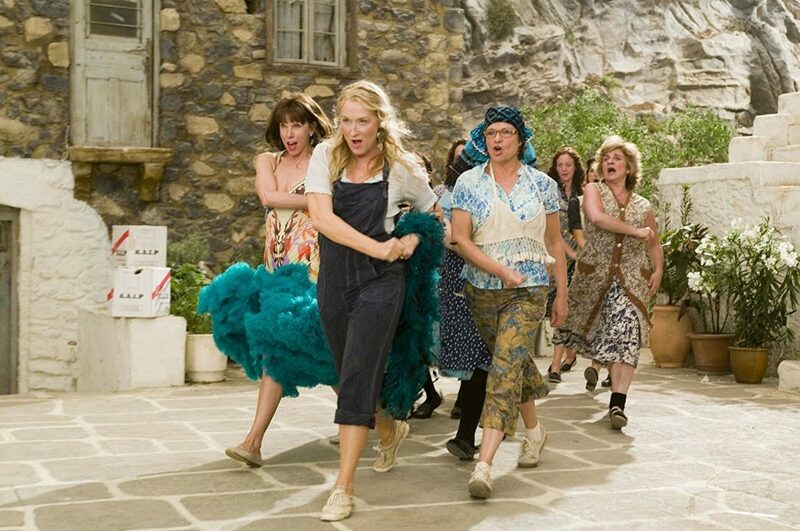 With the most gorgeous Mediterranean backdrop and danceable soundtrack you can imagine, Mamma Mia! never fails to brighten your day. Adapted from the Broadway musical, the movie stars Amanda Seyfried as a wide-eyed young bride-to-be named Sophie who wants her father to attend her island wedding. The problem is her mom, played by the one-and-only Meryl Streep, is not sure who her father is. Sophie invites all three possible fathers to the big day and antics ensue. Heartwarming and catchy with ABBA tunes to boot, this is one you and your other half can rely on as a good pick-me-up. Talk about a tear-jerker. 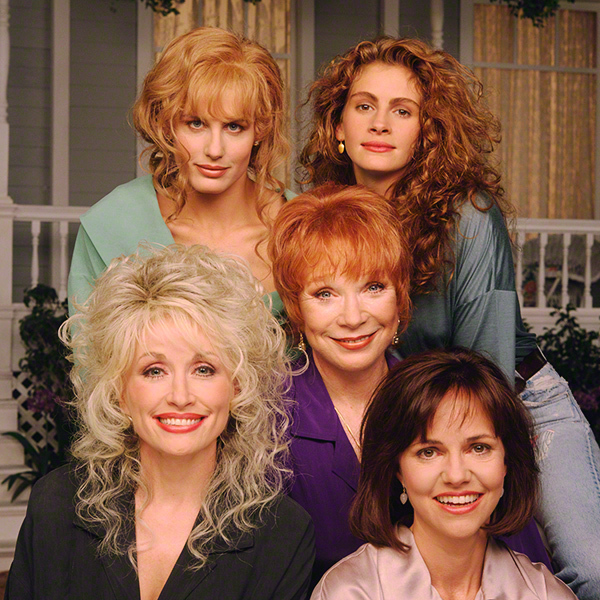 Steel Magnolias, filled to the brim with A-listers including Sally Field, Dolly Parton, Shirley McLane, and Julia Roberts, is your cure anytime you need an emotional catharsis during wedding planning. We follow Daryl Hannah’s character Annelle Dupuy as she develops a close bond with a group of beauticians in a small, Louisiana town. We may be stretching the definition of a wedding movie since there is just the one near the beginning, but don’t pass it by. It may be on the sappy side, but the charming way the movie portrays female friendship makes this one great for you and your bridesmaids to have a good cry over. We’re going for the 1991 remake here because we have a bias for Steve Martin, but the 1950 original is also an undeniable classic. Martin plays businessman and father George Banks trying to come to terms with his daughter getting married. This movie also boasts the comedic talents of Diane Keaton and Martin Short, playing one of his most eccentric and hilarious roles. Father of the Bride expertly touches on the difficulties of moving on to a new life when you get married, while being optimistic about the bright future ahead of you. It’s a great choice when you (and your parents) need a heartfelt laugh. Moving along now from dealing with your own parents to meeting your spouse’s. 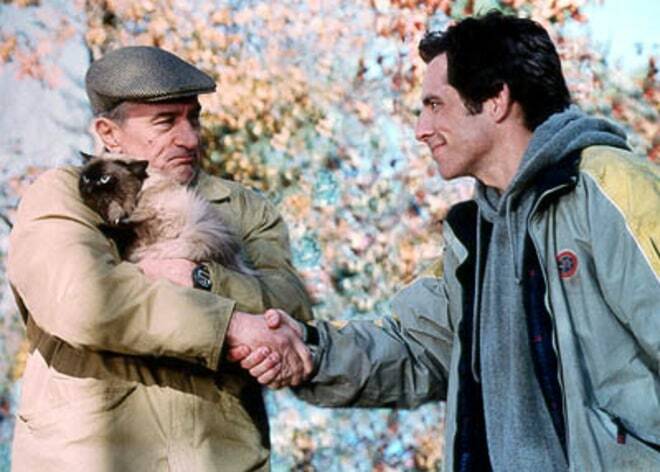 Meet the Parents is one of the quintessential comedies of the 21st century. Led by Hollywood heavyweights Ben Stiller and Robert De Niro, this movie became an instant classic with audiences. Surely all married men can relate to Greg Focker’s struggle to win over his girlfriend’s father and ask for her hand in marriage. Sure, De Niro’s character Jack Byrnes may be an ex-CIA agent, but the similarities still stand. Uproariously funny, Meet the Parents reminds brides and grooms that joining two families can be awkward at times, but completely worth it in the end. 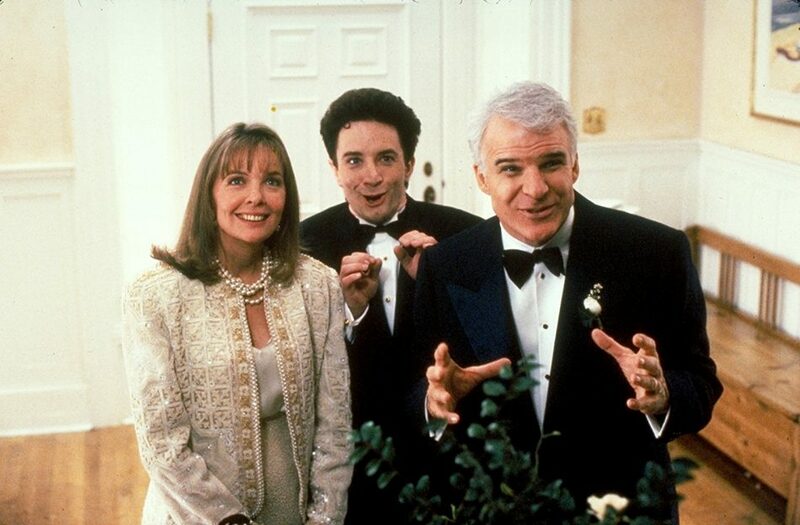 My Best Friend’s Wedding is likely a lot of people’s all-time favorite wedding movie. It stars Julia Roberts at her most Julia Roberts-ness with the big, boofy hair and all. She plays Julianne Potter who is trying to win over her childhood friend before he gets married. Not that you necessarily want to watch a movie where someone is trying to break up an engagement, but the movie surprises you with its reverence to true love and finding who you really belong with. 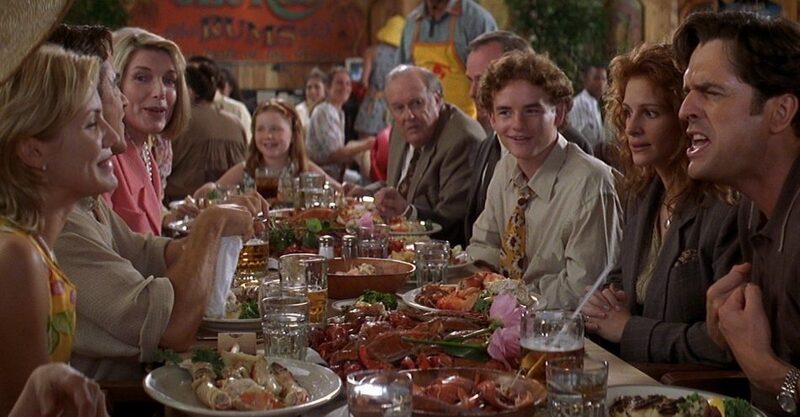 Also the dinner table singing scene is one of the most iconic romantic comedy scenes ever. Try not to sing along. 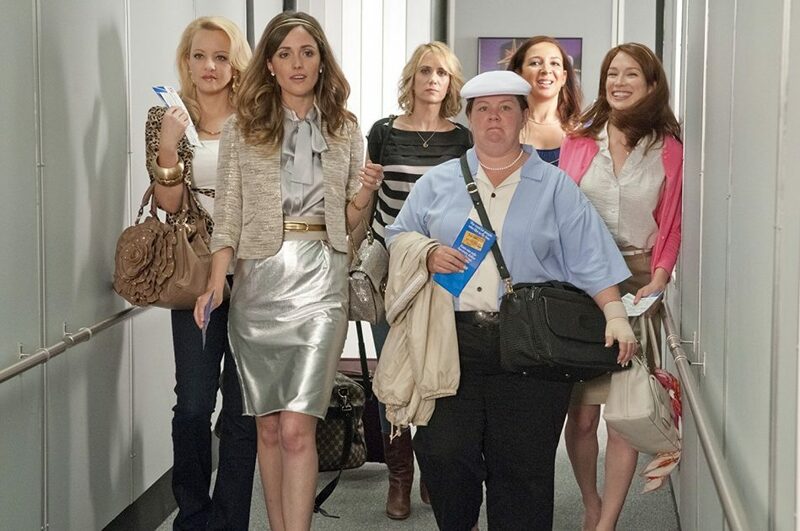 Bridesmaids is such a good movie, it can be argued it changed the way female-led comedies are made and how the public views them. It’s not your typical “chick flick,” so even the most masculine grooms can have a great time watching this movie. Kristen Wiig is in top form as put-upon Annie as she stumbles through being maid of honor for her best friend’s (Maya Rudolph) wedding. This is another essential one to watch with your bridesmaids (obviously). It has heart, humor, and is a perfect ice-breaker for bridesmaids who are just getting to know each other. This is a personal favorite, which might explain its high ranking on this list. I have probably watched through Robbie and Julia’s love story 100 times, and it never gets old. The Wedding Singer is a love letter to the 80s mixed with goofy comedy and a totally enviable romance. It stars Adam Sandler as Robbie Hart, a hometown wedding singer who develops a budding affection for Drew Barrymore’s soon-to-be married Julia after being stood up at his own wedding. It’s silly and ridiculous in all the best ways. Plus the chemistry between Sandler and Barrymore makes you root for this couple the whole way through. The Wedding Singer is the perfect, light date night movie you both can enjoy. Was there any question that My Big Fat Greek Wedding would be #1 on this list? It is, without a doubt, the ultimate wedding movie. It comes from the mind of Nia Vardalos, also our star of the film, who based these characters off of her own Greek family members. We meet Nia’s character, Toula, as a quiet, 30-year-old woman who constantly gets pressured by her family to get married and have babies. Toula does an overhaul on her life and in the process ends up falling in love with and marrying a non-Greek man named Ian (John Corbett). It’s a classic story of bringing together two families from completely different backgrounds, something all brides and grooms can relate to. Also you’ll never laugh harder at a bundt cake than you will in this film.